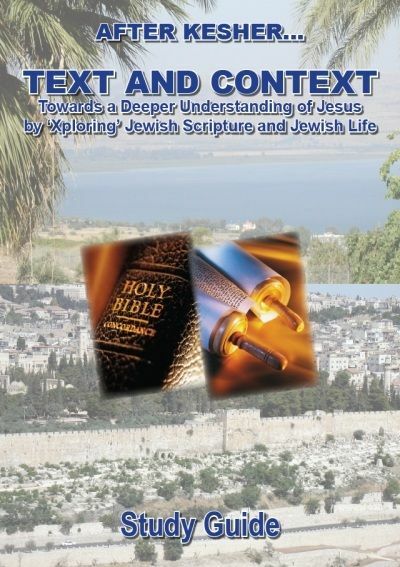 Look further at the Jewish roots of the Christian faith by exploring various aspects of the life and ministry of Jesus of Nazareth, whom if we are to truly understand, must be set as a Torah-observant Rabbi in the matrix of first century Jewish life. Jesus never went to church. He never read a New Testament. He never sang a Christian hymn. He never encountered a Protestant or a Roman Catholic. He never possessed a passport. Much has been written and spoken about Jesus, but so often this has been filtered through the lens of scholarship or culture. Jesus has become many things to many people, and sadly the real man from Nazareth has been obscured or even lost. We constantly need to pursue the quest for insights into the true Jesus as we engage with His world, words and wisdom. He grew up in a Jewish family, attended synagogue on Sabbath, celebrated the Jewish festivals and walked the land of Israel. So much of what He said was coherent with Jewish thought and consistent with the teaching of contemporary rabbis. Yet He was unique. He lived in a context of social turmoil, political conflict and religious dissent. A line from someone attending the conference provided an appropriate prayer: ‘Lord of Life, send our roots rain.' It was an opportunity to ‘xplore' the roots of our faith in more depth. Delving into the world of Yeshua/Jesus is like visiting a foreign country where we discover people do things differently and speak another language. However, both the text of Jewish Scripture and context of Jewish life will help us get to know more about the person and work of this Torah-observant village workman whose work is now known all over the world. 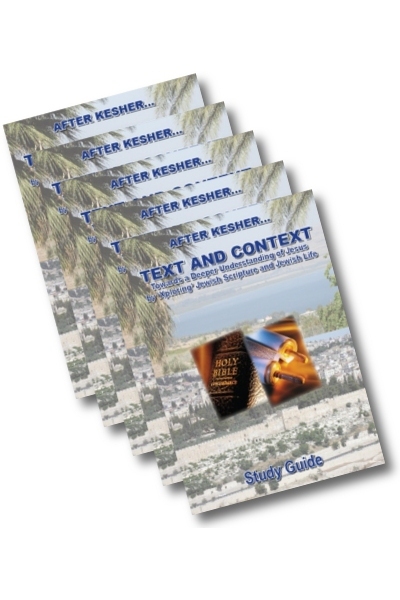 This set of 7 video recordings is offered by CFI Communications as the first part of an excellent follow-on from our Kesher Course. 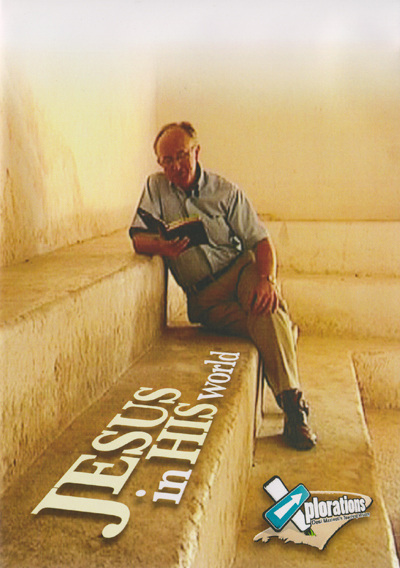 We trust that you will be inspired and your walk with God enriched as under Desi's engaging leadership, you follow him on a journey back into the world and surroundings that were so very familiar to Jesus and His first disciples. Comes as a boxed set of 7 DVD's, complete with one copy of the Student Guide. Click on the following titles to view a brief sample of that session. After introducing the themes for the teaching series, Desi introduces us to the Torah observant world of Joseph and Mary, explaining the purification rituals after the birth of a child. This leads on to the commandment relating to ritual of circumcision, and all that was associated with that time in a Jewish boy's life. 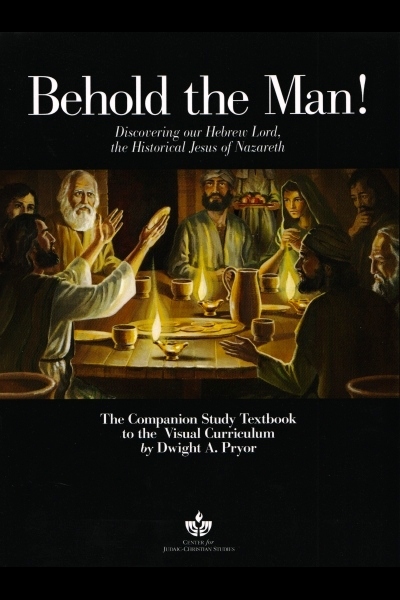 The Session concludes with a detailed overview of the various stages in the education of Jewish boys, and the impact that had on Jesus of Nazareth as He grew to adulthood. Desi takes us further on our journey back into the agrarian society where Jesus grew up, and we begin to understand the full extent of the "Tekton's" - the village artisan's - skills that He learned from His earthly father Joseph, and the wider environment in which those skills were used. We look at the possibility that Jesus was acquainted with the world of the theatre in His day. The contrasts between the Hebraic and Hellenistic views of work are explored, and the Session concludes with Jesus' invitation to study with Him: "Take my yoke...learn from me." 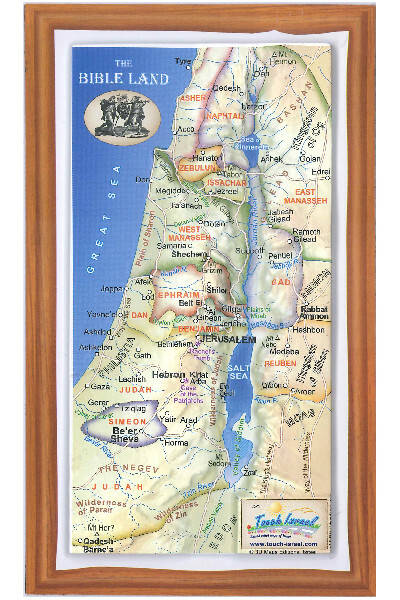 We take a detailed tour of The Galilee, visiting many of the places mentioned in the life and ministry of Jesus of Nazareth. We gain not only an understanding of their place in the history of the Jewish people at that time, but also their importance in our understanding of the background as to who Jesus was and what He came to say and do. Like most Jewish rabbis of His day, Jesus wore the "Tallit" - Prayer Shawl - with its tasselled fringes or Tzitziot. In this Session, Desi gives us a detailed explanation of the significance of the Tallit and its fringes, drawing useful object lessons that challenge us to look...remember...do. As the master teacher, Jesus wants to communicate the concept of ‘The Kingdom' to His audience. Desi begins the first of several Sessions on "The Parables" as a means of putting ‘handles' on profound teaching, enabling people to carry these truths with them wherever they go. 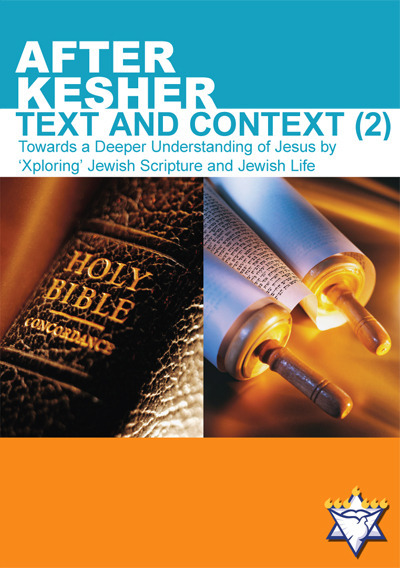 As Desi delves deeper into Jesus' use of Parables as a means of getting truth into the hearts and minds of His listeners, he compares ‘Halakah' and ‘Haggadah': the two major Hebraic views on teaching from the Torah. Desi also challenges us as to which "lenses"-Hebraic or Hellenistic-we use to view our world, and the consequences of adopting one outlook or the other. He closes this Session with further thoughts on how Parables paint vivid word pictures of God's Kingdom rule and how this still advances in our world. Desi compares and contrasts the Parable of the Pounds (Luke 19:11-27) with the Parable of the Talents (Matthew 25:14-28), while at the same time making a strong case that these stories need to be understood within the context of when and where they were told. He also spends some time explaining the importance of understanding the Hebraic concept of "Qal va'homer" - reasoning from the light to the heavy. The second part of these set of recordings can bought here or as one set here, as video on demand here, on CD here or individually in MP3 format here. Further copies of the Student Guide are available here or at a discounted price for 5 or more copies here. Please note that we cannot advise individuals about whether you will be able to play these DVDs. You are advised to check you current DVDs to find out what format they are in, or contact any local DVD supplier for more information. Please note that we will not issue a refund if you order these DVDs and you can not play them. Desi grew up in Co. Antrim, N. Ireland. After studies at the University of Ulster, then Westminster and Princeton theological Seminaries, he entered pastoral ministry for seven years: three in Canada, followed by four in Belfast. For the next twenty years he lectured at Belfast Bible College (and remains a senior teaching fellow), before seeking to bring the classroom to the living room through `Xplorations`, the ministry he co-founded and directs with his wife Heather. 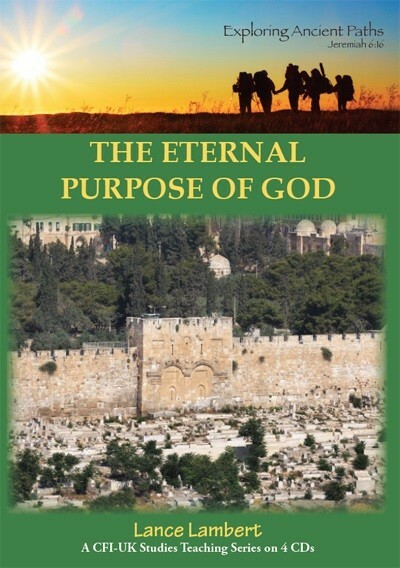 He has studied at Dwight Pryor`s Haverim Schools of Discipleship and comes with his warm recommendation as a gifted teacher with his own unique presentation and introduction to Jesus in His Jewish world. Click here to see an introductory video about Xplorations.